I think I need to read this. Even though I disagree with quite a few of the opinions Horowitz offers as representative of the book, I've always been interested in what Osborne has to say. It's available for $45.00 at conradlosborne.com. During the 1960s, ’70s and ’80s, when classical music was a lot more ­robust than nowadays, "High Fidelity" was the American magazine of choice for lay connoisseurs and not a few profes­sionals. Its opera expert, Conrad L. ­Osborne, stood apart. “C.L.O.” was self-evidently a polymath. His knowledge of singing was encyclopedic. He wrote about operas and their socio-cultural underpinnings with a comprehensive authority. As a prose stylist, he challenged comparisons to such quotable American music journalists as James Huneker and Virgil Thomson—yet was a more responsible, more sagacious ­adjudicator. In fact, his capacity to marry caustic dissidence with an ­inspiring capacity for empathy and high passion was a rare achievement. Over the course of the 1980s, "High Fidelity" gradually disappeared, and so did C.L.O. He devoted his professional life to singing, acting and teaching. He also, in 1987, produced a prodigious comic novel, “O Paradiso,” dissecting the world of operatic performance from the inside out. Then, a year ago, he suddenly ­resurfaced as a blogger, at ­conradlosborne.com—a voice from the past. Incredibly, the seeming éminence grise of "High Fidelity" was revealed to have been a lad in his 30s. And now, in his 80s, he has produced his magnum opus, Opera as Opera: The State of the Art—788 large, densely printed pages, festooned with footnotes and end­notes. It is, without question, the most important book ever written in English about opera in performance. It is also a cri de coeur, documenting the devastation of a single precinct of Western high culture in modern and post­modern times. This Olympian judgment takes the form not of a diatribe but of a closely reasoned exegesis. It impugns philistines less than intellectual trend-­setters, notably including operatic stage directors (with Robert Wilson’s catatonic Wagner the “last straw”). They are, in Mr. Osborne’s opinion, recklessly intolerant of earlier aesthetic norms, not to mention norms of gender, politics and society. His conviction, painstakingly expounded, is that the past is better served by understanding than by such remedial tinkering as (to cite one recent staging) empowering Carmen to survive the end of Bizet’s opera rather than submitting to José’s knife blade. That Mr. Osborne has chosen to self-publish "Opera as Opera: The State of the Art" is not really surprising. To begin with, it is several books, complexly intertwined. The ­subject matter ranges from philosophy and aesthetics to theater and theater history, to the mechanics of the human voice—and some of this material is ­addressed exclusively to specialists. The pace of exegesis is at all times unhurried; Mr. Osborne is intent on telling us everything. In fact, large chunks of ­"Opera as Opera" take the form of a ­copious diary that most editors would instantly scissor (and, if skilled, better organize). A useful starting point for absorbing the many-tentacled Osborne argument is the “metanarrative” he extrapolates from the operatic canon. It turns out that nearly all operas coming after Mozart and before Richard Strauss may be said to hew to a single basic story. An outcast male protagonist falls obsessively in love with a forbidden woman who returns his love. The fated couple encounters inflamed opposition. A clash of male claimants ends badly for the lovers. Mr. Osborne is hardly the first to notice that this template, or something like it, encodes dated notions of virile masculinity and divine femininity, but his treatment transcends cant, jargon and ideology more than any other known to me; it is adult. The challenges here posed for 21st-century preservation and revivification in the realm of opera are tackled vehemently, pragmatically and resourcefully. With high-toned orality and rhetoric in retreat, a crisis in “great-voiced” singing was self-evidently fore­ordained. Here Mr. Osborne has a formidable precursor: W.J. Henderson (1855-1937), the most prominent American vocal authority for nearly half a century. Because he started so young and ended so old, Henderson commanded a lofty view of vocal decline. In the Wagner world, he could remember the prodigious ­Albert Niemann, whom Wagner himself chose to create the role of Siegmund; he reviewed the bewildering advent of Jean de Reszke, legendary in his own time as Tristan and Siegfried; he heard Lauritz Melchior, the Met’s reigning Heldentenor for two decades. Mr. ­Osborne picks up the thread—he, too, heard Melchior. He also frequently heard Jon Vickers, the last great-voiced Tristan. Henderson wrote wonderfully about the singing voice. Mr. Osborne is more wonderful still. He can instantly evoke the frisson of Vickers’s idiosyncratic instrument. Why are there no great-voiced Tristans today? Mr. Osborne’s answer, incorporating early recordings not just of singers but of actors in ­several languages, references microphones and recording studios, changing styles of oratory and everyday speech, an unrefreshed repertoire, and newfangled performance priorities privileging directors’ prerogatives over those of singing actors. Mr. Osborne dedicates some 34 pages to the decline of operatic conducting and orchestral playing, highlighting James Levine’s recently terminated Metropolitan Opera tenure. How Mr. Levine and his orchestra acquired such a commanding reputation is a question that deserves a book of its own. That Mr. Levine inherited an ­erratic pit ensemble, and fixed it, is undeniable. But the gifted Met orchestra of today lacks presence, depth of tone, kinetic energy. As Mr. Osborne observes, to encounter Valery Gergiev’s Mariinsky orchestra in the same Metropolitan Opera pit is really all you need to know. I also retain dazzling memories of the throbbing and mellifluous Bolshoi orchestra from its 1975 visit to New York. As for Mr. Levine, the Osborne account cites chapter and verse: He was an opera conductor of high energy and competence who nonetheless failed adequately to articulate musical drama. I would add that the dynamics of ­harmonic tension-and-­release never sufficiently shaped structure, or clinched a Wagner climax, with Mr. Levine in the pit. But never mind. Mr. Osborne finds similar virtues in the singing and acting of the late mezzo-soprano Lorraine Hunt Lieberson and of the tenors Neil Shicoff and Jonas Kaufmann. None of these is a great-voiced singer (Mr. Osborne counter-offers Renata Tebaldi and Giovanni Martinelli). Rather, they are singing actors who ingeniously combine a “modern acting sensibility” derived from Konstantin Stanislavski and his legacy, with voices that are balanced, versatile and personal, if never galvanizingly voluminous. Finally, there is an epilogue—“Dream On”—imagining a corrective opera company of the future. It is run by singers after the fashion of certain theatrical cooperatives, of which ­Chicago’s Steppenwolf is the best-known American example. Some people will dismiss "Opera as Opera" (without reading it) as an exercise in ­deluded nostalgia. Don’t listen to them. Listen instead to the Metropolitan Opera broadcast of Verdi’s "Otello" on Feb. 12, 1938. The cast includes Giovanni Martinelli, Lawrence Tibbett and Elisabeth Rethberg. The conductor is Ettore Panizza (to my ears, as great as Toscanini). If you prefer Wagner, Exhibit A is "Siegfried" on Jan. 30, 1937, with Melchior, Friedrich Schorr and Kirsten Flagstad, conducted by Artur Bodanzky. These imperishable readings document standards of singing and operatic orchestral performance unattainable today. Conrad Osborne flings the gauntlet, relentlessly inquiring: What happened? What to do? It is hardly an exaggeration to suggest that the fate of 21st-century opera partly hinges on the fate of the bristling insights delineated and pondered in this singular mega-book. Conrad Osborne was indeed a giant in the 1980's: his wife was a soprano who studied with my voice teacher (Dan Merriman) and artists' manager who represented another friend of mine (I declined her contract offer as I had conducting ambitions already at the time.). Osborne's book "O Paradiso" sits on my shelf with his dedication and autograph: it's a fun read. Most likely I read it, as High Fidelity was one of the very few magazines I actually subscribed to. But I don't remember, and for me the point about Pavarotti was his authentically Italianate sound and diction - in a word, style - at a time when few if any of the other leading tenors were Italian - as is the case today. A most interesting review by Joe Horowitz, which means this is a book I must have. Thank you, Lenny, for informing us of this book. I well remember C.L.O. 's reviews from High Fidelity magazine. 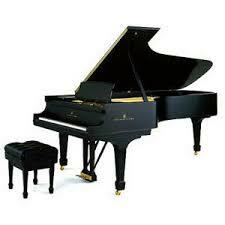 I also learned much from the late Harris Goldsmith who wrote extensively about the performance of piano music. We were pleased to have Harris as a guest in our home for a few days. I truly miss the magazine, which closed down almost three decades ago. What was surprising, however, was at the time of HF's closure, the magazine had only 327,000 monthly subscribers. Given the population of the USA at that time clearly indicates that even by 1989, classical music and opera was still just a tiny fragment of the overall population, which, apparently is still in decline by most involved. Lance wrote: Thank you, Lenny, for informing us of this book. What did High Fidelity in was its change of policy in 1983 regarding classical record reviews (they were to be reduced to 8 pages) and the consequences. James Oestreich, the editor, protested publicly and was fired, he created a new quasi-High Fidelity magazine called Opus, and all of the best classical reviewers at High Fidelity (including Conrad L. Osborne) resigned and wrote instead for Opus. No doubt ABC Consumer Magazines, then the owner of High Fidelity, believed that dumbing down the classical record reviews would boost the subscriptions. The more fools they. Opus ran from 1984 to 1988; what was left of High Fidelity folded in 1989. To my amazement, I find that nearly all the issues of High Fidelity have been digitized and put online for free at https://www.americanradiohistory.com/Hi ... gazine.htm. I once had a nearly complete run of the magazine, picking up back issues in second-hand magazine stores in NYC, but eventually ran out of room to keep them and regretfully threw them out. I find myself strangely interested too. But I cannot find how much it costs to ship to Australia without first paying for the book. I've contacted the listed shop to ask. And I'd love to get O Paradiso too, but Amazon's cheapest is $57. Too much. For those who'd like to get their Osborne for free, he has a biweekly blog on his web site. This week's topic is supposedly "Carmen Jones," according to the title, but actually it's about continuo instruments and playing in opera, with highly knowledgeable contrubitions by Frank Cooper and Will Crutchfield. My humble apologies to our devoted/dedicated John Francis! Originally I did type John Francis' name but then changed it to Lenny. Perhaps losing my marbles. So thank YOU, John Francis! It's arrived, and it's incredibly bulky. About 600 pages long, it's 3/4" thicker than Harvey Sachs's 900-page biography of Toscanini. Not comfortable reading, for sure. According to Osborne's preface, he wrote it from beginning to end "in real time" and did not revise. That's how one produces a diary, not a serious book. His comments on operatic productions appear to be based on performances he's seen in New York, and on reviews by others on productions elsewhere; his love of opera did not extend to traveling to Europe or even Chicago. These are all warning signs. But I've bought the book, I'll read it (or some of it), and comment further. Thanks for posting this, John, it makes me feel better. As I wrote above, I investigated it and was keen to buy but not to spend $A100. You've made that decision seem very wise. Someone, perhaps John F, may actually have the book The Joy of Opera by J. Merrill Knapp in his library. It is perfectly awful, and Knapp, whom I mention by name because I assume he is long dead, was what is known as tenured but useless faculty at Princeton at the time. Now I admit I was not the best student in the department, but they tried to pawn him off on me as my junior/senior advisor. I complained about this, and ended up with the excellent Lewis Lockwood, whom I mention by name because I have nothing but wonderful things to say about him. Never heard of Knapp or his book, but if you had Lewis Lockwood as your advisor, you were lucky indeed. Barney, the reason I got Osborne's book is that he had original and enlightening things to say about opera recordings way back when, and I expect he still does. But there'll have to be many of them to justify this whopper of a book. Brian, was DAN Merriman any relation to mezzo-soprano NAN Merriman, or was that a misprint and you meant DAN Merriman? There were a few DAN Merrimans, an artist, stage producer, etc. Just curious. Also, I just found this, so I guess you did mean DAN Merriman! Sorry, Len, but my memory is so hazy about this and the source material doesn't seem to be available online. Osborne was, besides being a well-known critic for High Fidelity, a successful voice teacher/technician (his wife was a singer who studied with my voice teacher, Dan Merriman). I remember Osborne's reviews of opera recordings all the way back from the 1970s in High Fidelity magazine . While I respect his vast knowledge of opera and opera singing and expertise in judging singer's techniques , I rarely of ever agreed with him when it came to purely subjective evaluations of their singing aesthetically . I always found his reviews to be obviously biased toward legendary opera stars of the past and against singers of the past 50 years or so . He regularly panned complete opera recordings I admired greatly and praised ones I thought overrated does I thought overrated . I'm curious to read the book, though . He still seems extremely biased against singers of the present day . Oh well, standards of opera singing have been "declining" for centuries . "Musings on Luciano's Progress. I think he'd want us to call him Luciano, don't you?.... Now here's Luciano singing the Duke in a big splash of a Rigoletto.... still pretty good, at points brilliant, but the tops of some phrases ("saro per te in the duet, the big toughie in "Parmi veder") do have a disappointingly constricted sound. He moves with an oddly dainty gait. In the last act, he makes a point of feeling up Maddalena while leering cutely at the audience. Luciano has learned to keep on being Luciano while the opera is trying to take place. The audience would rather see Luciano than an opera, so it's total success. ....Later yet, at a Boheme, i really can't hear Luciano's top at all, except when the accompaniment is vide or he happens to catch hold of a phrase riding nicely from below, as at the opening of "O Mimi, tu piu." To put it bluntly, it's a bust, but the audience reaction is wild -- this is a personal appearance event. I begin to form a rather unappetizing image of a huge, mincing galoot with a pretty, medium-sized voice that can't make climaxes, kneading his handerchief and appealing to the audience for sympathy for all his hard work and sweet personality. Since then I have heard Luciano sing high and small, low and large.... On all the TV shows, it's of course much harder to tell about the balance of the voice. But you can tell that singing, good or bad, is tough labor (indeed, Luciano shows off the labor just a bit) and that Luciano is a genuinely likable and amusing man with a sharp sense of his own appeal. Also that he has lost weight. Artistic failures and successes cease to have any relative values, since the audience and colleagues are parts of the act and behave as if each effort produced a triumph of absolutely equal and preditable proportions. The thought does occur that "live" audiences are learning the lesson." Actually, Len, what you found was not the Dan Merriman I knew, although he did come from Texas. The Dan Merriman I knew passed away from a deadly fall in his home, a few years ago. He lectured at Princeton, sang with NYCO, and had an overflowing private studio with his wife (also a voice teacher), Mara Worth. Dan was profiled in the NY Times Sunday Magazine during the mid-1980's, and taught Judith Raskin among other celebrities (Dean of the voice dept. at Manhattan School and a brilliant exponent of contemporary music during her tenure). He was also a judge in my competition in Carnegie Hall. Sorry you're confused. Dan Merriman (no relation to Nan Merriman!) was my voice teacher and a judge in my vocal competition. He taught Osborne's wife who was also a singer. As well, I posted a quote from Osborne's review of a 1979 recording of Pagliacci with Pavarotti to try to clarify Osborne's views on Pavarotti. I hope that clears things up for you.